Doulton’s watchers of the night. The watchman was certainly a popular character when it comes to seriesware from the early 20th Century. Interestingly the designs are among the first registered Seriesware D numbers and still more interesting is that some were registered as early as 1882 before D numbers were introduced as a means of labelling patterns for giftware. 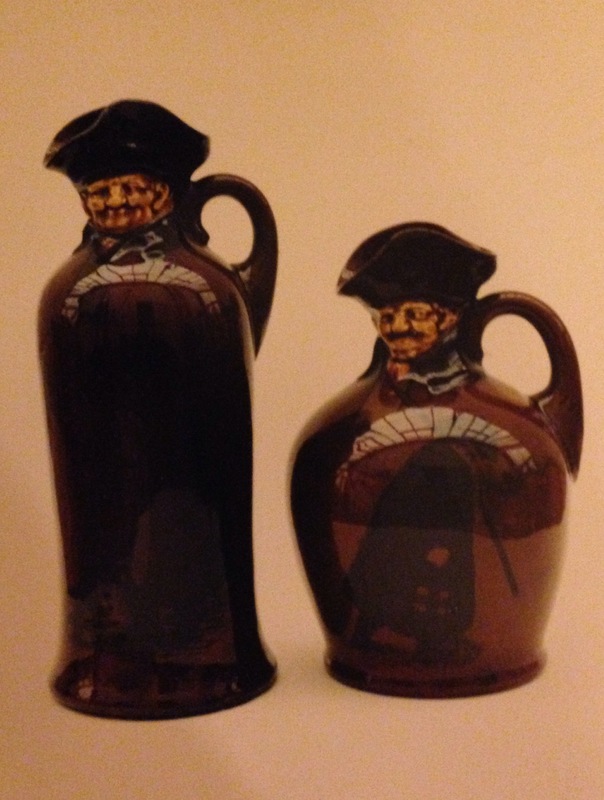 2 sizes of Kingsware flask. 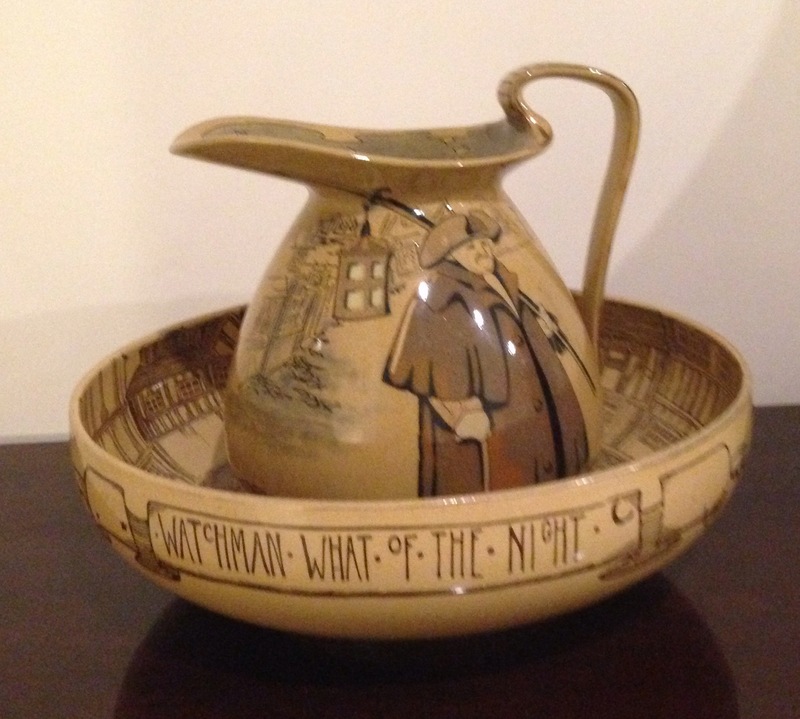 The image of the Watchman appears too on early items of Kingsware from 1902, not just on jugs but also a very rare clock case with art nouveau decoration too. The flasks with his modelled head are particularly good! For further information on Kingsware please see Jocelyn Lukins’ book on the subject. Also of interest is the history behind the Watchmen, who were precursors to what we know as policemen today. 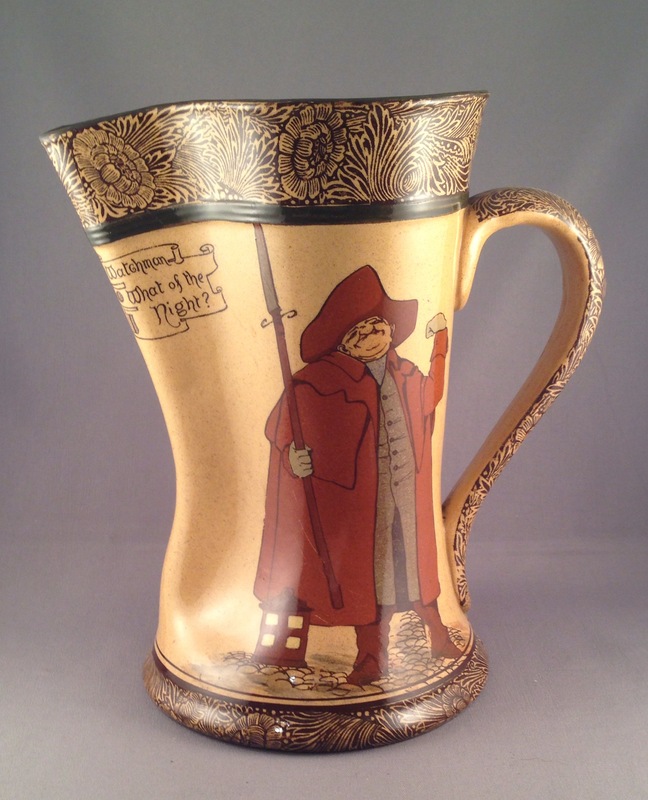 An affectionate nickname for them was ‘Charley’ after the then monarch, Charles II, and of course this is where the name Old Charley comes from in terms of Character Jugs and their derivatives that are do popular today! 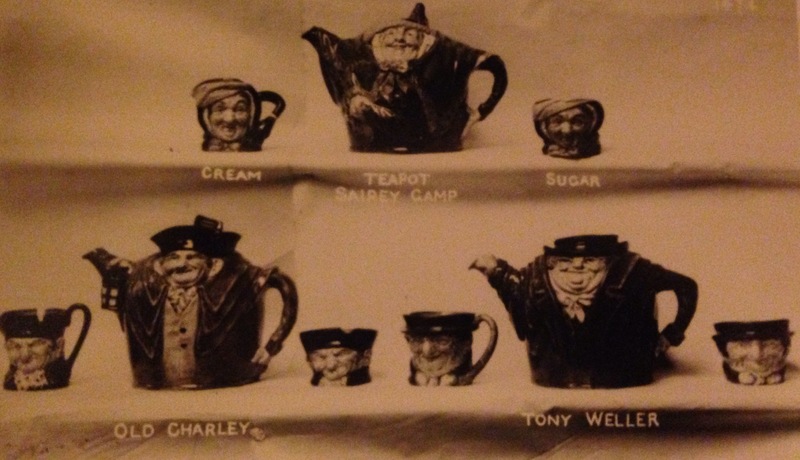 Old Charley D5420 was one of the original jugs from 1934 and spawned a range of derivatives from wall pockets, to toby jugs, to ashtrays, ash bowls, teapots and other items! Whatever your preference a display of Watchmen items makes a great focal point!